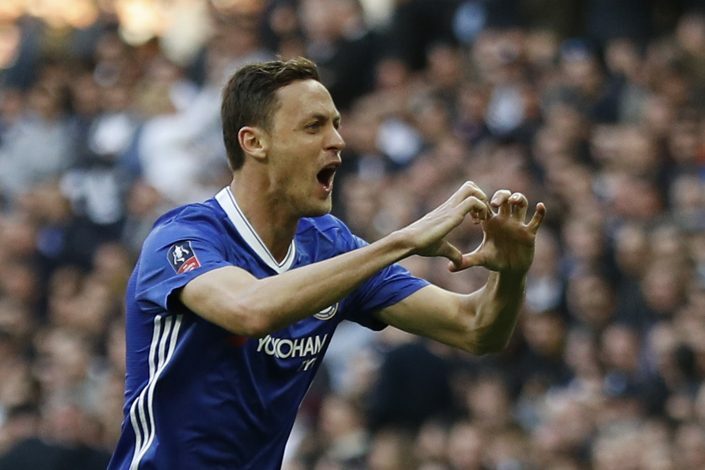 Serbian midfielder Nemanja Matic has spent most of the summer being linked with former manager Jose Mourinho’s side, but it looks like more than one team could be involved in the race for the Chelsea powerhouse. Italian team Inter Milan have been in a rebuilding phase this summer, after disappointingly finishing seventh in the Serie A last season. Neighbours and rivals AC Milan have been making big noises so far this transfer window, and it looks like Inter do not want to be left behind, and are keen to bankroll manager Luciano Spalletti’s bid to take the club back to the lofty heights they’re used to. Having spent the whole of last month holding onto Croatian winger Ivan Perisic in the face of repeated interest from Man Utd, it looks like Inter might deliver another blow to Mourinho’s men, as they now look to go toe to toe with the Red Devils in order to land Nemanja Matic. A bid of £35 million has been lodged by Inter for the Chelsea man, according to Corriere dello Sport, who claim Spalletti sees the midfielder as an ideal alternative to Roma’s Radja Nainggolan – a player Inter have spent most of the summer pursuing unsuccessfully. Matic, who rejoined Chelsea back in 2014 from Benfica after showing great promise in the Portuguese League, went on to establish himself as one of the leading defensive midfielders in the Premier League under then manager Jose Mourinho. The Serbian has since failed to live up to those high expectations, however, and is likely to be surplus to requirements once Chelsea’s imminent move for Monaco’s Tiemoue Bakayoko finally goes through. The situation could be complicated by Chelsea’s preference to sell their player to teams outside of England, whilst Matic himself known to be keen to link up with his former manager at Old Trafford.